With all of the natural disasters that have taken place in recent months, it’s time to think about creating an emergency preparedness kit. In addition to essential items such as food and water, an emergency kit usually has multiple sub-kits. It is a good idea to have one for yourself, in your vehicle and your home. Some sources recommend packing enough supplies to survive up to 72 or 96 hours. 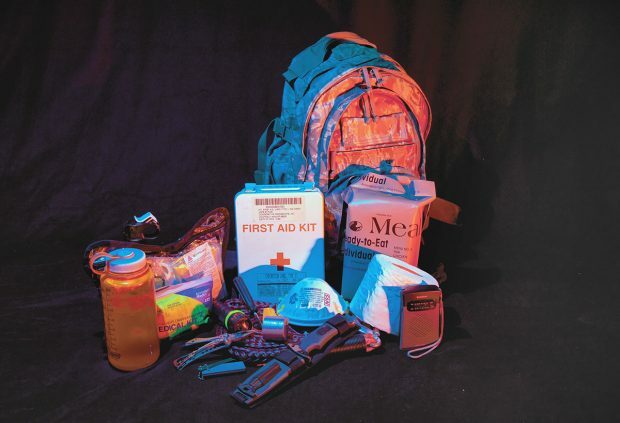 Basic items to pack in a disaster-ready kit include standardized equipment that requires only one size of batteries and food that does not need to be cooked or needs very little preparation. Adding items that can be used for an extended period of time is a safe choice, as long as the kit remains light enough to carry around. Sub-kits combine items such as hygiene necessities, first aid supplies or a tool kit. Additional sub-kits can also contain other utilities, including a reusable water bottle, flashlight, extra batteries, essential prescription medications, and non-prescription drugs such as Tylenol or Benadryl. Packing durable shoes or boots will help to accommodate for any walking. Crocs, heels or slippers are not ideal for an emergency kit as they expose the feet to potential injuries and the elements. If you have a pet, make sure to pack an emergency preparedness kit for them as well. Visit Be Ready Utah for more information about emergency preparedness, including what to do during different types of natural disasters and how to create a family emergency plan.